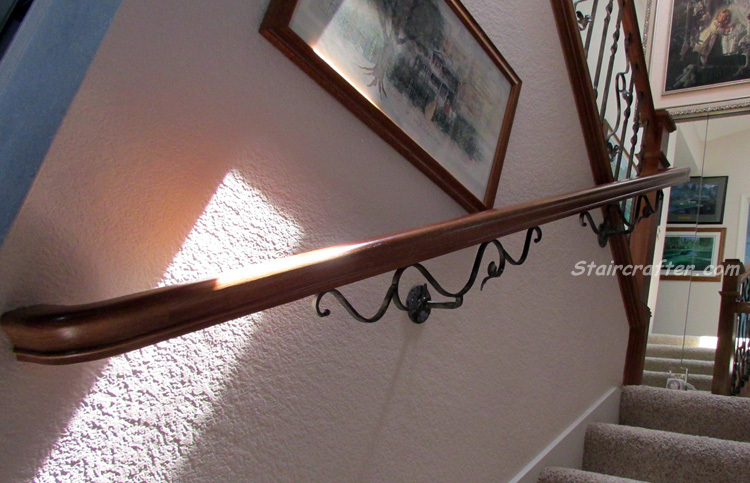 In this staircase remodel the wooden handrail, newel posts and stair treads are being replaced and stained a rich brown. 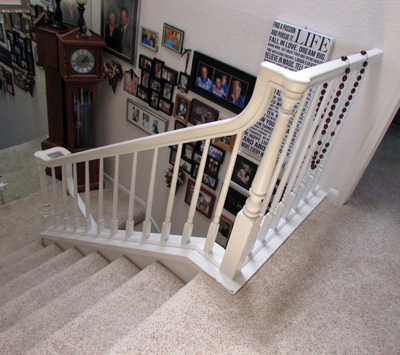 The wooden spindles are replaced with a pattern of double heavy twist balusters and custom scrollwork. 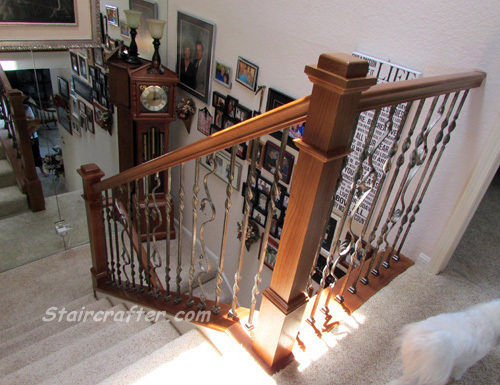 The wooden handrail on the wall side is being replaced and a custom decorative iron scroll handrail bracket is installed.